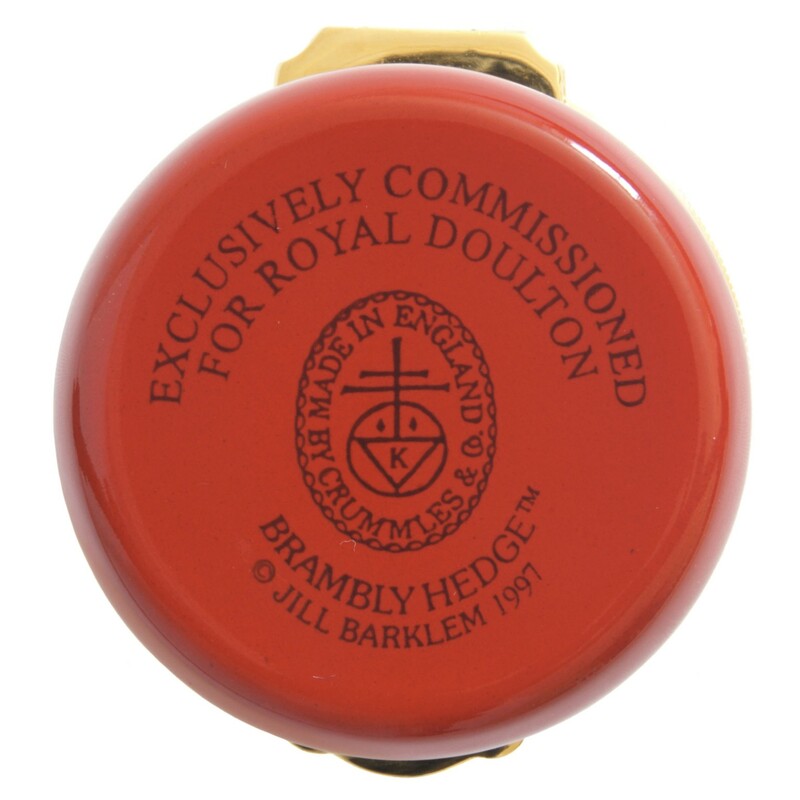 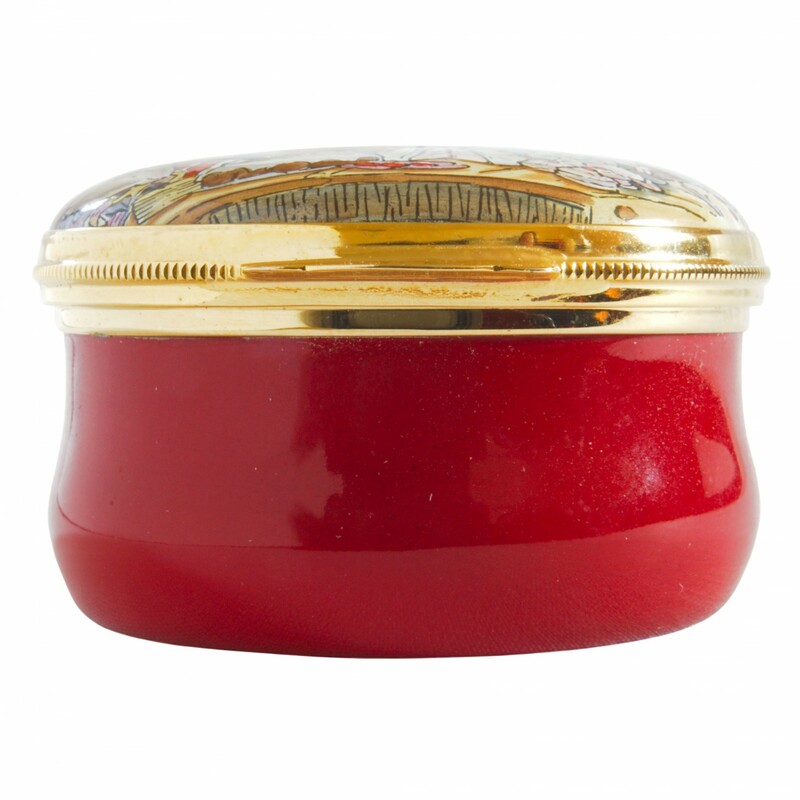 A round enamel box exclusively commissioned for Royal Doulton by Crummles in 1997. 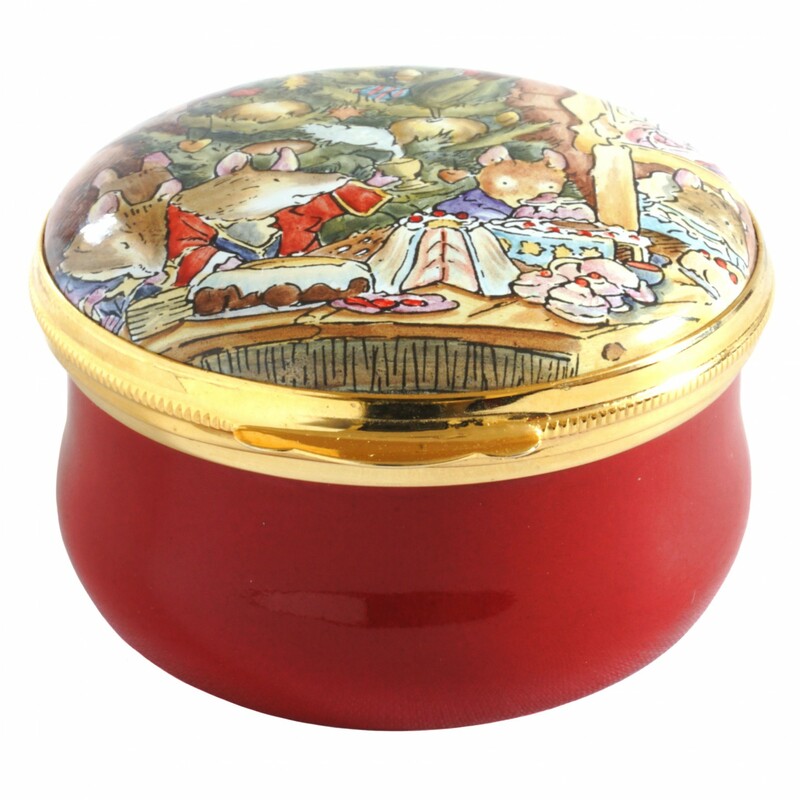 This box features a hand-painted scene from Midwinter&apos;s Eve on the top of the enamel lid and a sprig of mistletoe on the underside of the hinged lid. 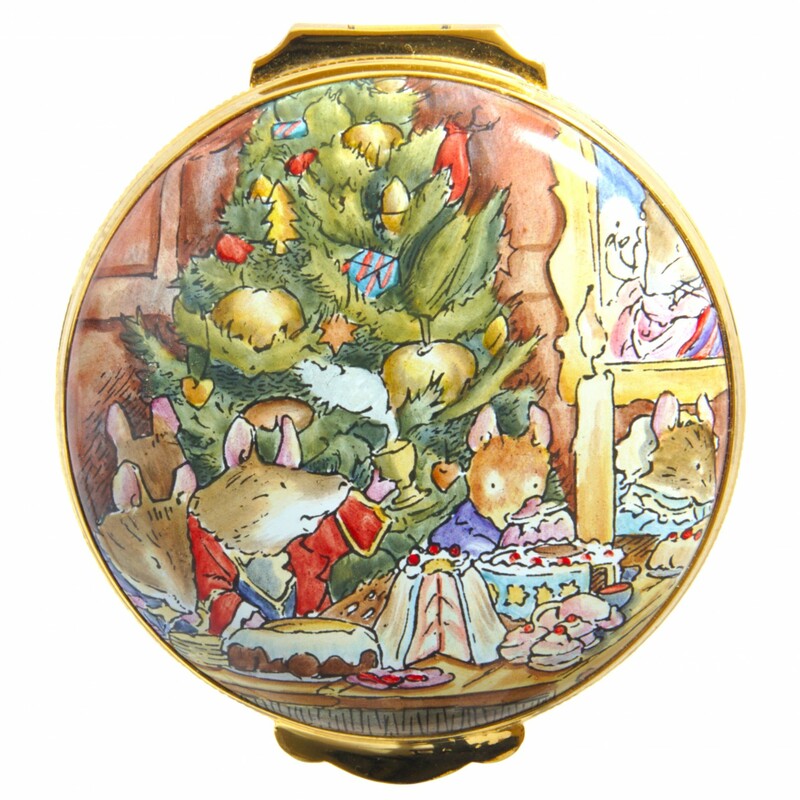 The box measures approximately 1 3/4 inches (4.5cm) in diameter and is around 1 inch (2.5cm) tall. 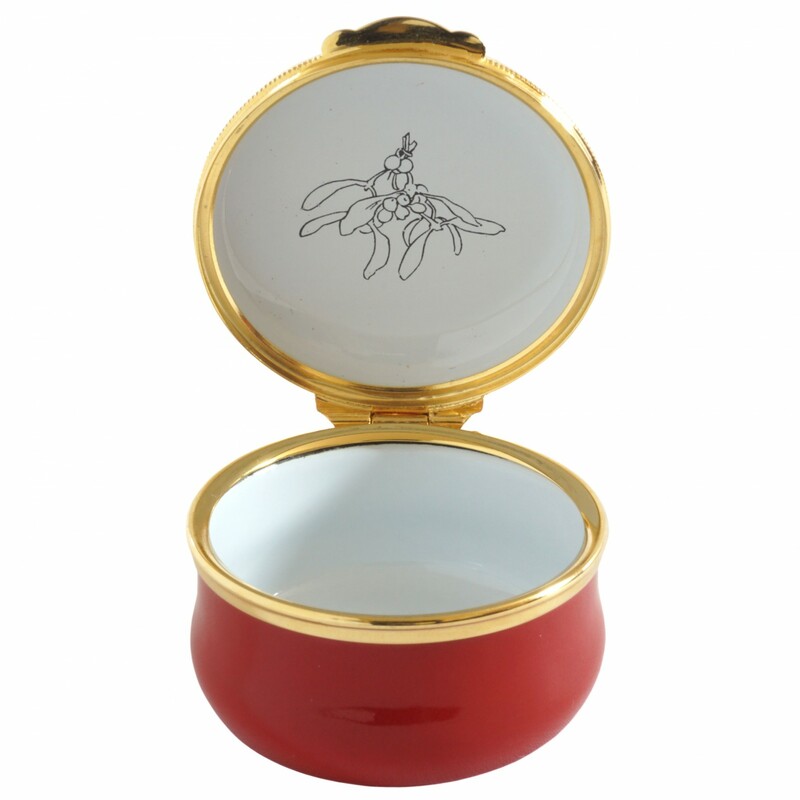 The box is in excellent condition and comes with a Crummles presentation box.